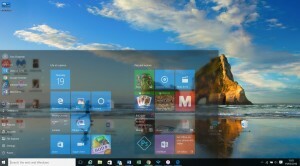 Microsoft released Windows 10, their latest version of the operating system in July 2015. 10 months, testing and a few patches later. Here are ten reasons we feel you should be confident in upgrading right now. Windows 10 is a much easier system for the user, whether you are navigating via your desktop PC or via a touch screen on your tablet. The look and feel of the system is consistent across all devices including your Xbox! Much of what you currently see in Window 8 has remained which gives users the benefit of familiarity and the confidence that they will get to grips with the new system in little time. Microsoft have rectified the mistake they made with the Windows 8 release when they removed the popular start button as this is back in all its glory in the new release! 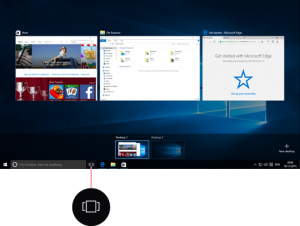 Click Start button on the taskbar and start pinning apps and programs, moving and regrouping tiles. It can also be resized. 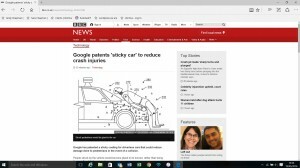 Codenamed Project Spartan from the Trident rendering engine used in Internet Explorer 11; has replaced Windows Explorer with new easier ways to find things, read and even write on the web page plus a little help from the lovely Cortana if you get stuck. Internet Explorer will continue to run on a legacy basis for the time being. This is where you store everything you find on the web. The Hub incorporates favourites, a reading list, browsing history and downloads. 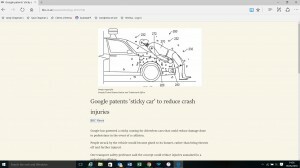 The Hub also allows you to read without distractions by clicking on the book, edge will display your page with purely just text and pictures without all the titles, ads and pop ups. You can search much faster straight from the address bar which will provide you with a list of search suggestions and instant results. Files that you save to OneDrive are available online at OneDrive.com and offline on your PC. This means that you can use them at any time, even when you’re not connected to the Internet. When you reconnect, OneDrive updates the online versions with changes that you made offline. Task View historically just available on tablets is now available on desktop mode. Accessible either via the button in the taskbar or by using the Windows-Tab keyboard shortcut, it allows you to create virtual desktops. Snap allows you to quickly resize a window so that it takes up a quarter of the available screen size by simply dragging the window to a corner of the screen. As soon as you release and as if by magic, thumbnails will appear of all your other windows allowing you to click or tap and resize. 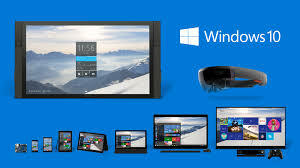 Windows updates are now mandatory with the exception being the Enterprise version in which you can choose to receive only critical updates and defer others for 90 days, you a then divide them into circles and dictate which are updated fist and set update schedules so as to minimise disruption to the working day. In Windows 8, the Windows Store apps on a desktop are a full-screen making them awkward for use on a normal desktop. In comparison in Windows 10 these are in a windowed mode and much less intrusive. Improve performance of your workstations and laptops with a faster, lighter operating system by upgrading to Windows 10 now. We will begin by checking your workstations for compatibility and plan the migration on your behalf. Standard engineering rates apply.